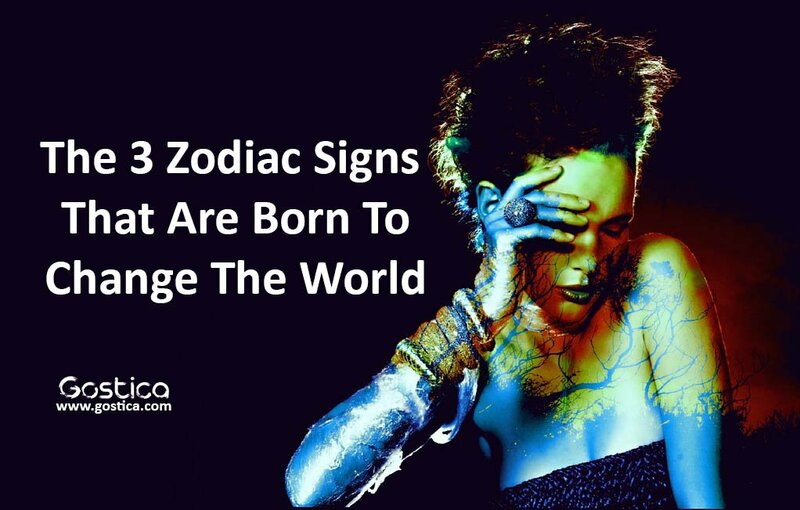 Changing the world is a difficult task, but still, it is possible – especially if you are one of these 3 zodiac signs. When you think about everything that is happening today in the world, the changes seem impossible. You’ve probably heard this expression many times before, but the change begins with you. Since it’s time for a change, of course, we must know what are the main zodiac signs that will change the world. This sign knows how to motivate people. Aries does not give up on their goals, regardless of the stress and difficulties they are waiting for on the road. Some people think that Aries are narcissistic individuals because they do not want to be surrounded by weak and impersonal people. But, in fact, they know how to distinguish situations that are really important from those who are secondary. The virgin always uses her intelligence to analyze problems and situations in detail until she finds the most effective solution. She never makes decisions impulsively or speaks before thinking. Recommended: 5 Personality Types that are Here To Change The World! Are You One Of Them? People born in this sign have a long-term strategy for success and no matter what they are targeting, their changes must be magnificent. With their skills and the desire to help others, progress is progressing slowly, but changes occur from the foundation. The constant quest for innovation and progress makes Aquarius the most important people who can change the world. They always try to change something in their lives and they always admire people who are constantly changing. They see things from a different angle, and they want each change in which they participate to affect not only a limited number of people but everything to change from the root. And in order for this to happen, they are ready to invest an incredible amount of work and time. If you enjoyed reading this article please comment bellow and share it with your friends. Many Thanks! Most important sign Libra ignored. Absorbs all sins of mankind. Much ignored a thankless sign. These signs based on Sun sign or moon sign?? ?